Nintendo 3Ds is a handheld gaming console by Nintendo. It was launched in 2011 and saw good success. This gaming console succeeds the Nintendo DS and also features backward compatibility. The company launched this to compete with Sony’ PlayStation Vita. When you have options to buy PS4 and Xbox One X, you may not feel comfortable in buying Nintendo 3DS. You can still enjoy those games using 3DS Emulator. The emulator is a software program that enables one computer to behave like an other computer. So, the The Nintendo 3DS Emulator is the software that allows a computer or device act as Nintendo 3DS and run the games of Nintendo 3DS in same way it run on Nintendo 3DS. If you are Nintendo game lover but do not want to by Nintendo 3DS, you can still enjoy Nintendo 3DS games on your PC or Android phone. Thanks for available Nintendo 3DS Emulators for PC and Android. 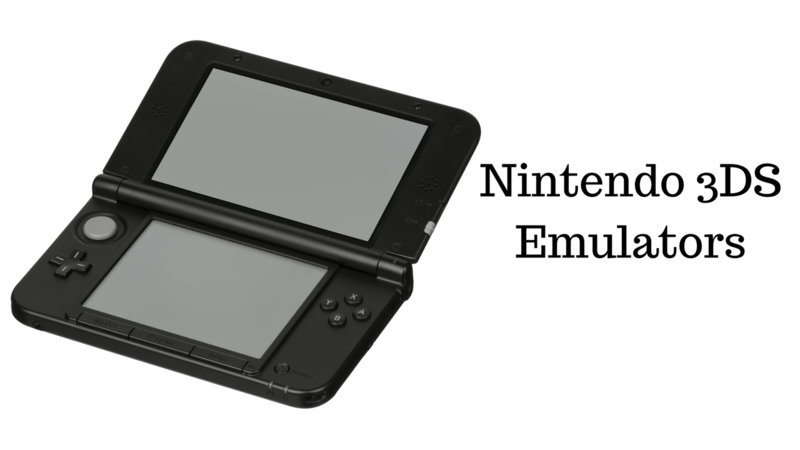 In this article, I am listing best Nintendo 3DS Emulators for PC and Android. These 3DS emulator for PC and Android allows you to games and smartphones without owning the 3DS gaming console. Citra 3Ds Emulator is an open source Nintendo 3DS emulator launched back in March 2014. It is available for Windows, Linux and Mac platforms and allows users enjoy Nintendo 3DS without owning that console. This 3DS emulator only supports 64-bit operating system and OpenGL 3.3 Graphics chops or higher. The better hardware your system, the better performance you will experience. It has user-friendly interface and runs games at resolution of 400×200. This Emulator does not allow you to connect to Nintendo servers but you have support to local Wifi. You can also configure it to use some of third-party controllers. Platforms: Windows, Linux and Mac. It is also a good Desmume Nintendo 3ds Emulator available for free. DeSmuME is available for multiple platforms. It was originally launched in French and later it was translated into English and some other famous languages. After its initial release, many developers started working on their independent emulator. So, the initial release of this Emulator were full of bugs and users couldn’t properly enjoy games. Later they united to launch the stable version 0.5.0. NeonDS is also a known Nintendo 3Ds emulator for PC that runs on All available Windows version. It is lightweight emulator and takes less space on the system. With over 175000 downloads, it is one of the most popular Nintendo 3Ds emulator for PC. NDS Boy is a well known Android app that works as best 3DS Emulator for Android. It is worth to note that the app works good only if your phone has at least quad-core CPU and 2 GB RAM. If your device has low hardware configuration, games will lag and crash. Your phone should also have Android 4.0+. It supports NDS game file (.nds, .zip, .7z, .rar). It also lets you save and load states with few other additional options. You can also adjust the display zip and customise buttons. nds4droid is also a known 3DS emulator. It is still not stable and users usually face crashes. It is in regular development, so it is still improving. It is open source an comes for free. Is another good Nintendo 3ds Emulator for android. It is also opensource and is in active development. It is based on Liberto platform. It allows you to view any game once added in database, and enjoy nintendo 3Ds games. It is one of the best nintendo 3Ds emulators for Android. These are few good 3Ds emulators for android and pc. All these have issues, so you will not get same feeling as you get on original Nintendo 3Ds gaming console. But you can still try and enjoy many Nintendo games on android and pc using any of these emulators. I hope now you get the list of best Nintendo 3DS Emulators. try any of these. If you have anything to say or suggest, you can always leave a comment. If you liked the article, share and help us grow.